Book matched walnut slab coffee table. 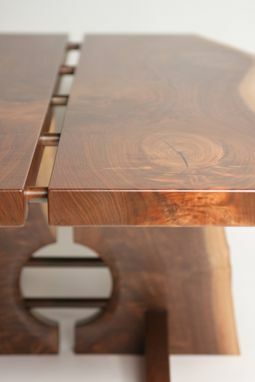 Natural edges, slabs joined together with steel dowels. 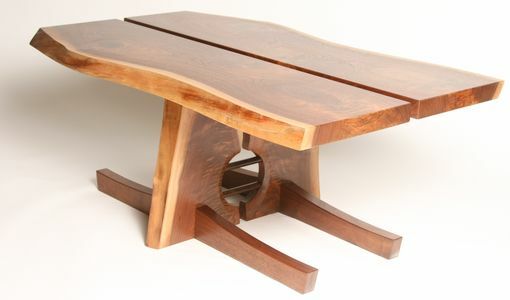 Nakashima inspired design.